The typical weather condition that can be very difficult for cyclists who like to ride their bike open air are rain (and mud as a consequence), humidity and wind, which can cause disappointing problems and make it very difficult to ride. 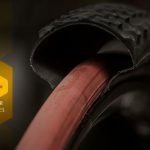 Fortunately, there are some cycling accessories that have been conceived to face the negative effects of bad weather and can help the cyclists that do not want to give up cycling even in fall and winter. We’re not referring only to the indispensable cape or to the providential cagoule, which can protect your body from rain and wind, but also to other accessories that might seem to be less necessary, but in fact are very important, like helmet and shoe covers. Let’s begin with cycling shoe covers: good both for those who like road cycling and for mountain bikers, shoe covers are providential in case of heavy rain, to avoid soaking feet and compromise your performance. 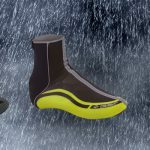 Gist, for example, offers waterproof shoe cover models made of various materials. Characterised by a windproof membrane and front and rear reflex inserts, the shoe covers by Gist are made with a bielastic sonic fabric to maintain temperatures and high quality neoprene to give you the chance to face even the coldest temperatures. Also helmet covers play a very important role when it comes to riding your bike in the rain. 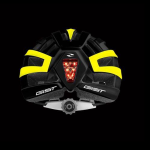 100% made of waterproof material to protect both head and helmet from rain, the helmet covers by Gist suit different helmet models and come in different colours, from classic black to bright yellow, which makes cyclists be more visible also with heavy rain and limited visibility. Enjoy your sport no matter the weather conditions! If cycling is your passion, certainly some raindrops cannot stop you. 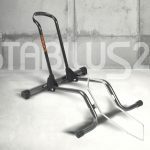 However, do not leave anything to chance, and use the best cycling accessories conceived to protect cyclists from bad weather and enjoy a positive riding experience in spite of difficult weather conditions!